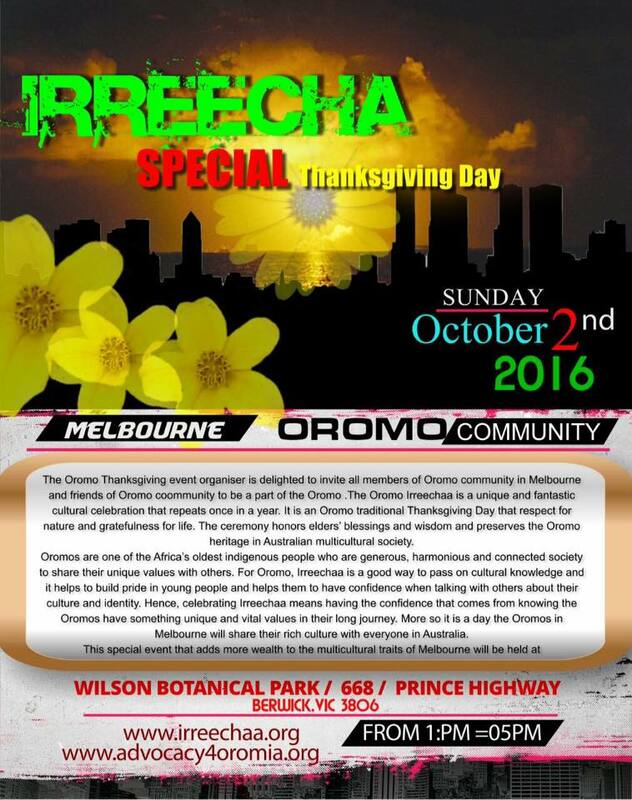 The 2016 Oromian Irreechaa Festival is running from September 04, 2016 through October 09, 2016. 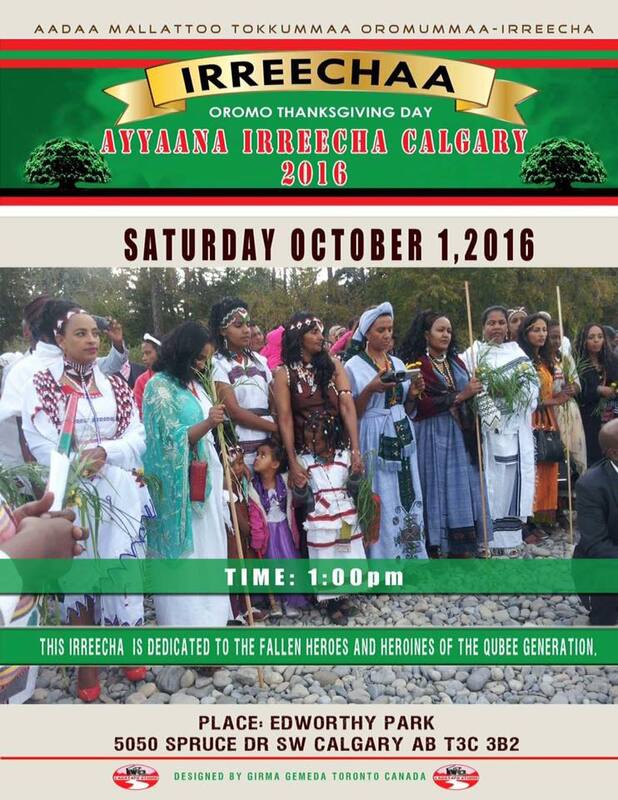 This national festival is a spectacular show of Oromo cultural, historical and natural beautification in their full glory at the height of the season. 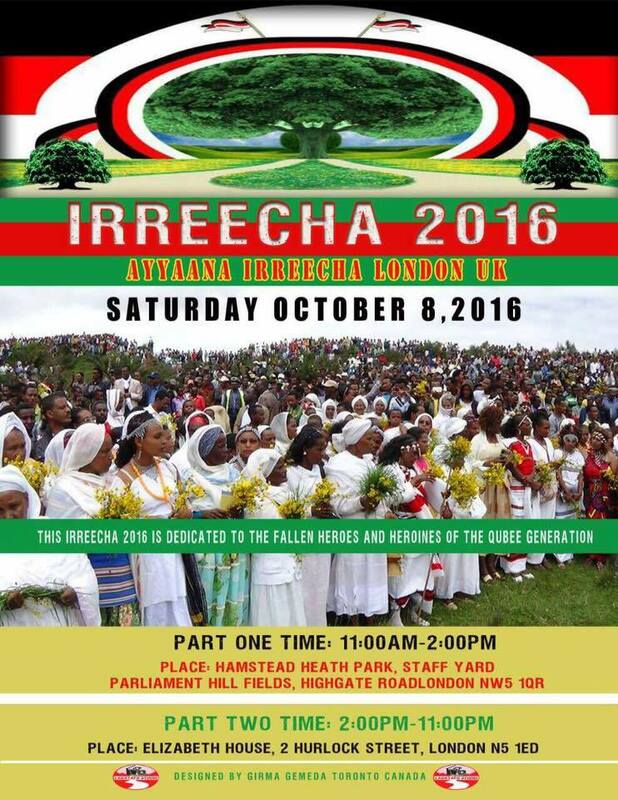 Here below are some of Irreechaa events in the globe.